Ghost Hunting Theories: Must See Para TV Tonight! Must See Para TV Tonight! Tonight on The History Channel, they are showing "Ancient Alien" episodes followed by my favorite UFO show, "Hangar 1." 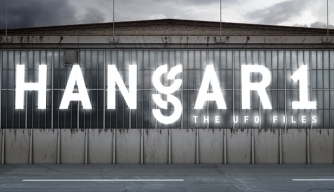 The episodes of Hangar 1 include Men in Black and Underwater UFOs (USOs). On Discovery's Science Channel tonight you can find my favorite Bigfoot show, "Survivorman: Bigfoot" with Les Stroud, an episode entitled "Giants of the Forest." This is a popcorn night and beer night!